Fly by Wi-Fi works with Microsoft Flight Simulator Series to control your aircraft panels and instruments. Moreover, it offers various information screens like Flight Tracking, Flight Plan, and PDF viewer for your flight documents. Where am I flying now? you can follow your aircraft position and flight path. 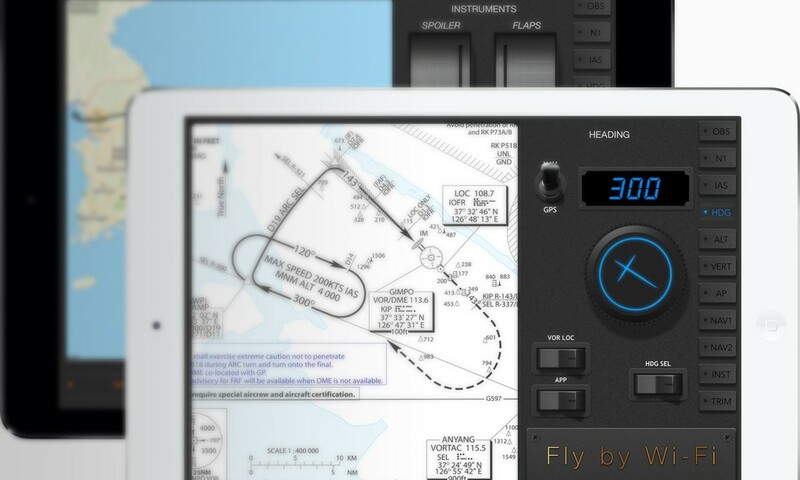 You can bring your flight plan on your iPad easily. Just set your PDF charts folder in Fly by Wi-Fi Server. You can download and open your PDF chart whenever you want. You can control various aircraft panels at your fingertips. – Installed copy of Microsoft Flight Simulator series. To enjoy Fly by Wi-Fi, you need to install Fly by Wi-Fi Server. Fly by Wi-Fi Server works with FSUIPC to communicate with Microsoft Flight Simulator Series. For more details about our apps, visit our support website. This entry was posted in ebadaq, iPad. Bookmark the permalink. Copyright © 2019 ebadaq.com - Think of eco system.